Welcome to the 3rd edition of the Retirement Plan Roadshow Plan Sponsor Survey! It’s intended to serve as an invaluable resource for beginner-to-advanced plan sponsors, 401(k) ‘geeks,’ and anyone else looking to identify trends and market changes. Fiduciary Responsibility is the number one topics of interest for the year! This was also the case for our previous survey report. 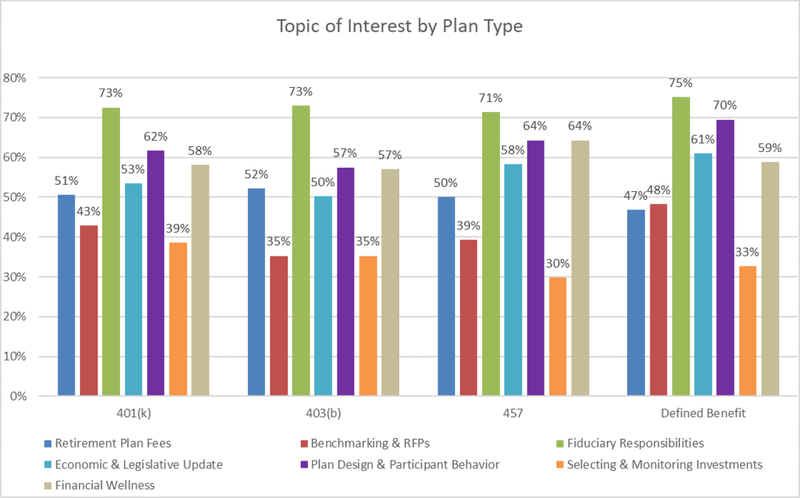 However fiduciary responsibilities did trend downward as a topic of interest by about 5% for 401k plan sponsors and 14% for 403b plans sponsors compared to last year. 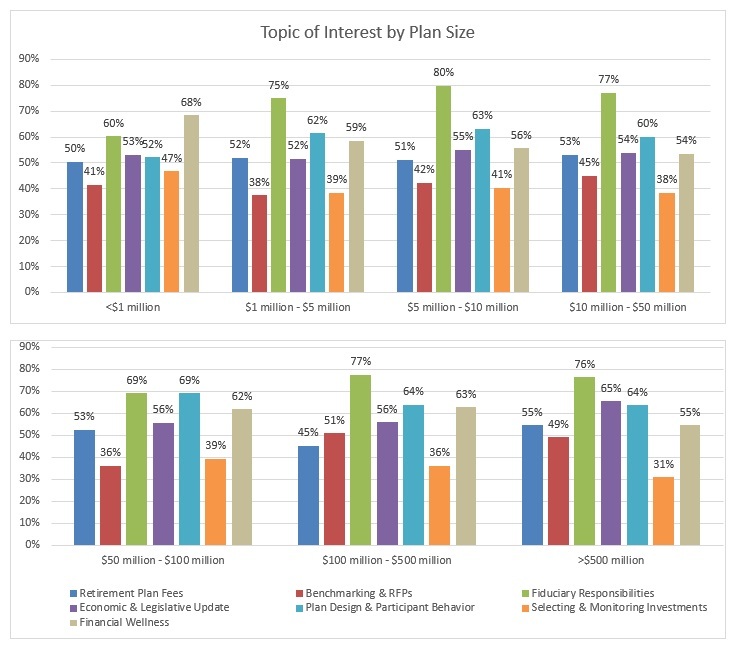 Smaller plans across all plan types also appear to be slightly less interested in the topic too. We attribute this to the fiduciary rule no longer being in headlines everywhere for 2018. It would be safe to assume that if you see the fiduciary rule in the headlines next year, fiduciary responsibilities will pull plan sponsors attention again back towards the topic.